Businesses that sell directly to consumers love to automate their work. Whether it’s a regular postcard blast, outsourced call center, or an email drip campaign, staying “in contact” with a company’s sphere of connections has always been easier when it is scheduled, standardized, and managed in a way that takes as little custom interaction with individuals as possible. While the lack of unique, personal interaction could certainly be criticized, it’s indisputable that many companies have been very successful at reaching a large audience at a low cost with email drip campaigns. The “set it and forget it” mentality is attractive to a busy marketing department, and even if it only creates a marginal return on investment, it allows salespeople to feel that they’re keeping in touch with their client base. Email drip campaigns allow us to reach a larger audience, at a faster rate, with much lower labor and financial costs than nearly any other marketing. Google’s Gmail products are quickly taking over the email ecosystem. In less than ten years, Gmail went from an invitation-only beta product to the most popular web-based email in the world. With over 400 million users. the product is becoming ubiquitous for personal email accounts. It is also the fastest-growing business-class email platform. 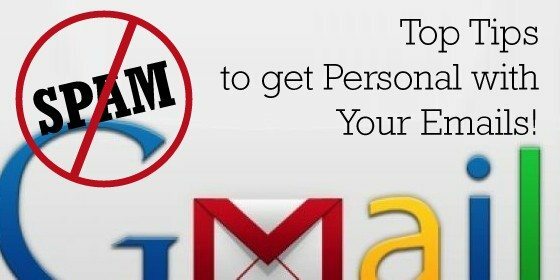 In short, Gmail is the prevailing platform for consumers, and any business marketing to consumers must craft their contact plans around the parameters that Google creates. When Gmail first started, it had a spam filter like most other email platforms. It picked up a fair percentage of spam, but it erred on the side of caution, letting plenty of bulk mailers and generic content through to the user’s inbox. More recently, though, Gmail’s spam filters have become aggressive. Google’s goal is clearly to keep a user’s inbox as clean as possible. The company has decided that a few casualties along the way are justified when the overall outcome is less spam in the inbox. This means that a far higher percentage of newsletters, customer update emails, and other drip campaigns are finding their way directly into Gmail users’ spam folders, never to be seen by the intended recipient. Gmail even obscures the Spam folder from view, far more than an average email platform. Savvy users will certainly find and check their spam folders intermittently, but it’s sensible to believe that a large percentage of consumers will never take the time to check what Gmail’s filters have deemed unworthy of their inbox. My company has experienced this directly, as we converted to Google Apps and Gmail for business this year. My personal inbox is cleaner than ever, but I have over 300 emails in my spam folder from just the past seven days. A few of those emails were actually useful emails that I wanted to read. We’ve been sending marketing emails out to a wide range of email platforms for years, but recently it seems that Gmail recipients are finding them in their Spam folders more often than not. There are a lot of reasons why a marketer’s drip campaign might end up in Gmail’s spam folder, but one stands out significantly. Any time a Gmail user opens your email and feels it is a waste of their time, they’re likely to mark it as spam, which sends a report to Google. It’s the quickest way for a user to know they won’t receive another email from the same address. The sender’s email address becomes part of a list that is being analyzed by Google for spam tendencies. If a certain number of Gmail users mark that sender’s email as Spam, those emails begin to get “Spammed” automatically, not just in that user’s account, but in Gmail accounts across the entire network. That should be enough to scare any email marketer. It’s not that every spam report will automatically get an email campaign banned, but an email campaign that is likely to drive a high percentage of spam clicks is also likely to be on the auto-spam short list. As Gmail’s market coverage continues to increase, that’s not a position that any salesperson or marketer wants to be in. Don’t send customers anything that you wouldn’t read yourself. In most cases it is too difficult to create standardized content that will appeal to 90 percent of a large customer database. Drip campaign content needs to be customized based on individual users. This can come from the recipients’ geographic locations, previous interactions, purchases, or preferences retained in a database. Real estate listing campaigns are a great example of an easily-customized drip campaign. Recipients only get new listings, in the neighborhood they prefer, at the price point they’ve specified. There is virtually zero chance that a potential home buyer will mark their new listing email as spam. On the other hand, the drip campaign emails titled “Great interest rates”, “Your Real Estate Consultant For Life”, or “Five Star Agent”, are likely headed to the trash bin before the recipient ever sees them. The same could be said for companies in other industries that send email pitches for products, vacations, or services that the buyer has previously purchased or expressed interest in. I’m much more likely to open an email on Friday afternoon that advertises a Seattle happy hour for wings and beer than a discount on a spa in Las Vegas. Larger companies have the ability to generate highly-customized product pitches and deliver them in a short time frame, catering to their recipients’ particular tastes or needs at a distinct moment in time. This is a huge advantage over the traditional email marketer. Most small businesses don’t have a marketing budget like the companies that create these sophisticated, highly-customized drip campaigns. The personalization, though, is really the only thing that makes those campaigns superior. For a small business person, matching that engagement requires a change in mindset. The goal of a drip campaign is to create contact with your sphere. The effectiveness of that campaign is only measured in the number of recipients that actually respond, or recognize that you’re attempting to stay in touch with them. The focus of your emails may need to shift from volume to quality. Does a potential customer really want to receive a canned statement every 15 days for the next 5 years? Would they be much more likely to prefer a short personal email at those intervals, or even half that often? How likely would your customer base be to respond to you if you asked a quick question about their home, their neighborhood, their children, or a vacation they took? A good salesperson could write 30+ of these emails in an hour. That’s not as fast as a standard drip, but its effectiveness at generating personal contact would be exponentially higher. Even asking a person you don’t know well, “How are you holding up with all of this November rain?” is a reminder that you’re a real person, not a computer, and you’re interested in what they’re doing. As technology continues to frame the parameters of our marketing abilities, we have to adapt our tactics to fit the ever-changing structure. More and more, we’re seeing that consumers don’t like generic marketing, and technology companies are adapting their tactics to fit consumers’ preferences. Rather than trying to slightly tweak a traditional system, or “get around” the new rules being created, sales and marketing professionals should focus on being one step ahead of the next rule change. The more custom, unique, and personal our communication with potential customers or clients can be, the more likely we won’t be in the crosshairs of the next algorithm change.